quality of our products. If for any reason you are not 100% satisfied, Your satisfaction is guaranteed. Allows users to create bootable USB/DVD reset disk on Windows computer. Safely and quickly reset local user and admin password for Windows 10/8/7/XP/Vista and Windows server. 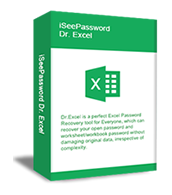 Dr.Excel could quickly recover open password from MS Excel and instantly remove worksheet/workbook protection without damaging original data, irrespective of complexity. 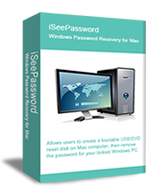 Allows users to create a bootable USB/DVD reset disk on Mac computer, then use it to remove login or admin password for your locked Windows PC. An all-in-one ISO Editor tool which can help user to burn ,create, extract, edit ISO file and make ISO from DVD/CD image. 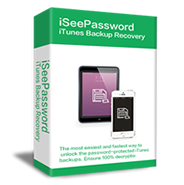 Recover or remove forgotten iTunes backup password without any data loss, allows you to get your data from iTunes backup without password. If you’re locked out of Word open password or Editing restrict ion, this Dr.Word could simply remove any types of passwords from MS word without changing anything in your word. 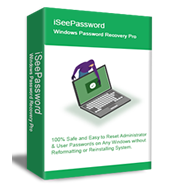 All-in-one password recovery program to recover forgotten password from variety of application including windows, Office, ZIP, RAR, PDF and more... It supports 30+ password types. 86% Recover forgotten password in Office, Instantly gain access to the password-protected documents in Microsoft Office Suite (Word, Excel, PPT, Outlook, etc).